There is probably no feeling worse than spending the time, money and energy creating content only to put it out there and find out that you’re not getting the response you want, or more precisely, you’re not creating new leads. It’s hard to put all the effort in to creating content when you’re not seeing tangible results. It’s easy to feel justified in giving up on content marketing. Chalk it up to a good idea, but something “that doesn’t work in our industry.” While that may feel like the right decision, you should first assess why you’re not getting the results you want and determine if there are any adjustments to make. While I’d love to tell you that every one of our programs is implemented flawlessly, multiplying qualified leads from the get-go, the reality is sometimes different. Here’s what we’ve learned are the probable causes of a slow start and some of the things you should do in response. I’ve written before that a common mistake made when implementing an approach to accelerate lead generation is unreasonable expectations. Building a consistent, sustainable lead generation process takes time. Most companies have built very flat funnels, and haven’t done the things that have earned the attention of their market. The result is that it takes time to impact the results you want, and the worst thing you can do is to try to take a shortcut. We were recently working on a situation like this for a client of ours. One of the steps we recommend is to interview customers to learn more about what’s happening in their world. In several of the conversations we had, we were told that while they loved our client’s company, most people didn’t know much about them. This company works in the medical and industrial manufacturing space. The nature of their niche demonstrates that trusted relationships are very important. The problem our client was dealing with was that the lack of awareness was a big barrier to getting traction with the content. I’ve written extensively about buyer personas on this blog, so I won’t repeat all of that here. Suffice it to say, having clear personas that allow you to get “inside your customers head and see the world through their eyes” is a crucial first step. But sometimes you’ve defined personas and you still don’t get the traction you want. Be sure to review your message. What are you putting out there and how are you doing it? Oftentimes, it’s something as simple as you’re focusing on what it is you’re selling, rather than what your customers desire to buy. One of the advantages we have in working with a variety of companies on these efforts is we see how some formats work well in one vertical and totally fail in another. For example, sometimes it’s the short, breezy content like checklists and assessment tools that drive response. In other verticals, it’s long-form content like white papers and more complex tools. Getting the message, the format and the medium right are all crucial components to a successful program. Be sure that you’re always testing different formats to ensure you stay in alignment with your prospects. An important question to be asking all of the time is, “Why would a prospect want to keep coming back to my content?” When we review a program that’s not on track, a common cause is that while the content is good, it’s more about the seller’s world rather than the buyer’s. Your content needs to be constantly teaching. Your prospects need to view your material as a resource that enables them to do their job better. Be sure you’re measuring and tracking your entire funnel. You need to be able to measure progress before the leads start flowing to be able to effectively make the adjustments you need to get things working in a reasonable time. Increase the focus of your efforts. A principle of growth is that as you narrow your focus, you’re able to expand your yield. 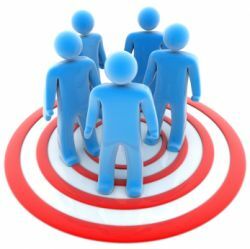 Determine the specific personas you most want to focus on and the companies you’d like to do business with. Tailor your content and campaigns to that focus. Test different forms of content and refine the teaching point of view you are using. Be sure that you’re consistent (and frequent) in your efforts. It takes momentum and velocity to break through the noise and be heard. An inbound marketing approach is a work in progress. It requires constant evaluation and tweaking but the results will be worth your efforts.